Real-time Service Area for HVAC Unlimited Inc.
After being told by another company I would need to replace my nine year old units, Jeremy was able to diagnose the issue that caused the problem and fixed the units for much less than replacement. He was on time and kept me informed every step of the way. Excellent service, great price, very helpful and nice! Jeremy explained everything really well and was ibcredibly informative and nice! Jeremy was professional and extremely helpful in making certain our HVAC unit was functional. I would definitely use them again! We relocate frequently and one of the biggest hassles of relocating to new areas is finding reputable companies that send qualified technicians to perform work when you need it, whether for annual preventative maintenance or during a house emergency. We’ve been through the process several times and always dread researching and trying new companies. This was our first HVAC call here in northern Virginia. We are in new construction and chose not to use the builder’s sub-contractor for a technician call but looked through Carrier’s website for a local business. Jeremy Garner with HVAC Unlimited responded to our service request the morning following our call. I shadowed him performing work and he was patient while I peppered him with questions. He helped expand my HVAC knowledge in order to be a better property owner of our systems. He performed the work we thought was necessary, in a timely and professional manner, and gave us options for future annual maintenance. HVAC Unlimited is definitely on our list of go-to contractors. The most reliable and efficient HVAC company I’ve worked with residentially and commercially. Great help over the phone regarding an issue that we had. Save us some money by walking us through the issue instead of coming out for a house call. Very friendly and patient over the phone. HVAC Unlimited is our "go to" company for all heating/cooling needs! Jeremy is a true professional, polite and punctual. There was an unidentified beeping sound which I thought was coming from my indoor HVAC unit. The technician patiently spoke to me over the phone and we discovered that it was not the HVAC that was making the noise. The technician was extraordinarily helpful and polite as we spoke and he saved me a few hundred dollars since he helped me over the phone and didn't have to make an emergency visit. 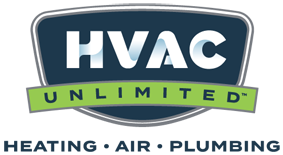 HVAC Unlimited is our "go to" company for all our heating and cooling needs!